Neeha Gupta, a student of Jamnabai Narsee School in Juhu, Mumbai has authored a science fiction book titled Different. The book is a take on how the youth can make a difference if they’re actively engaged. 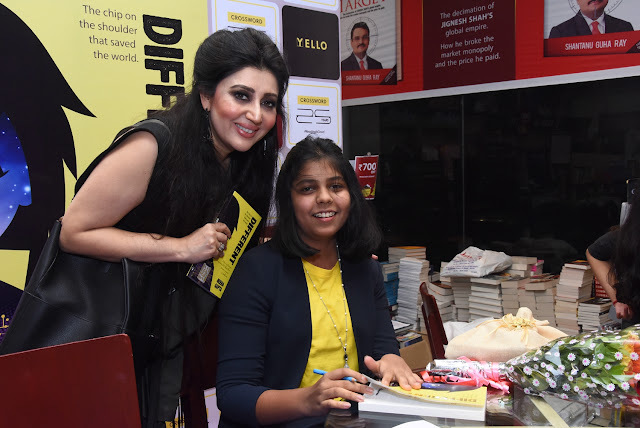 The author, Neeha Gupta, has pledged the accrued sales proceeds of her book to the Surakshit Bachpan Fund of the Kailash Satyarthi Children’s Foundation. 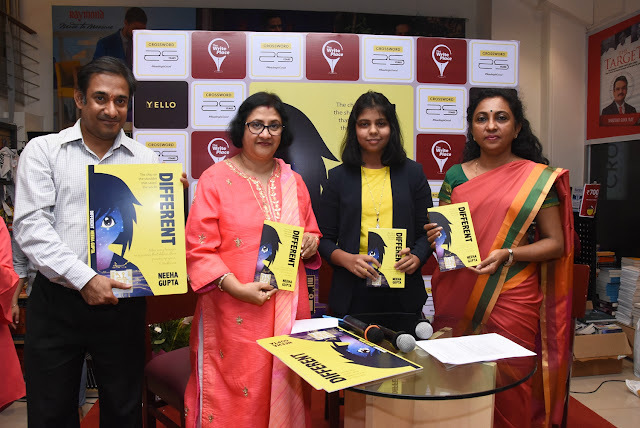 The book, Different by Neeha Gupta, was launched at the hands of the highly revered former SBI chief, Arundhati Bhattacharya and moderated by Prasad Sangameshwaran, Managing Editor, Campaign India. Arundhati Bhattacharya was quoted saying, "The youth may not be involved in the way we want them to be; but in their own way. 'Different' is a book about managing a situation that is not of your own making, by treating it as a challenge." This book, Different by Neeha Gupta, is published by The Write Place, a publishing arm of Crossword Bookstores. It takes the premise that teenagers aren't as indifferent as they’re made out to be. They pull up their socks and deliver when it really matters. About the Author : Neeha Gupta is a fifteen-year-old author. 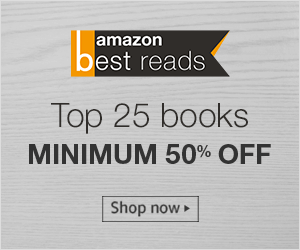 She has been an avid reader since childhood and had always wanted to write a book. Different took shape after several attempts at blogging and self-introspection. She believes that sports is an important balancing factor in her life, having played national level Table Tennis representing Maharashtra. She re-invented herself to become a State Level Pistol shooter, and now intends to pursue the sport. This is her first novel. About the book : Neeha Gupta’s debut book is the story of Nicole Grace, the only surviving member of Bridgen – a planet in the neighbouring galaxy, Andromeda. Her father, an exemplary scientist, had sent her in a ‘space suit’ to earth, when she was only 4, just her before own planet Bridgen was getting destroyed. ‘Different’ traces the journey of ‘superkid’ Nicole, who has photogenic memory. Her struggles to adjust to earth, how her past reappears and makes her a contributor to her school and to the planet.